Every year, more and more people are taking steps to make their feet look and feel better. Rather than live with painful and unsightly conditions such as bunions, hammertoes, and corns and calluses, people are turning to minimally invasive surgical procedures to ensure that their feet look great in summer flip-flops and feel great in their favorite shoes. If you don’t like the way your feet look or feel, don’t hesitate to contact Los Angeles podiatrist Dr. Jamshidinia today at (310) 247-9522. 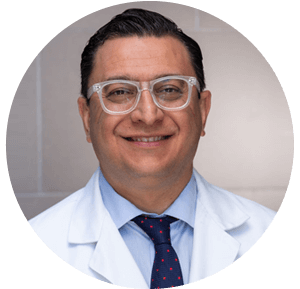 He’s a board-certified surgeon with expertise in all areas of foot and ankle surgery, and his state-of-the-art facility is within easy reach of Beverly Hills, Santa Monica, Marina Del Rey, Century City, and more..
Do you hate the look of your feet? Are you afraid to go out in public in sandals or be seen with your shoes off at the beach? Men and women across the country are discovering that they don’t have to live with embarrassment and shame over problems with their feet. In fact, for many of the most common problems, a simple cosmetic procedure can correct the issue. One of the most popular cosmetic surgeries is the procedure to repair bunions. For many this condition in which the big toe is out of alignment with the rest of the foot is done to both repair the look of the foot and reduce pain and discomfort. While there are many different types of bunion surgeries, the most common, bunionectomy, involves a small cut on the top or side of the big toe joint. The surgeon will then remove the bony enlargement and restore the natural alignment of the toe and foot. Hammertoe occurs when the joint of a toe begins to bend into a claw-like position and will not straighten. This condition usually gets worse with time and may result in total loss of feeling in the toe. The typical surgical procedure for a hammertoe involves cutting or moving tendons and ligaments in the affected area. In certain cases, the bones on each side of the affected joint will be fused together. After removing a small section of bone, the doctor will install a pin to hold the toe in place while the bones heal. In addition to the surgeries listed above, there are many other common procedures that improve the look and function of the foot. For example, corns and calluses can be corrected with surgery. Severe foot injuries such as fractures often require surgery so they can heal and the patient can return to their previous lifestyle and appearance. For many people, cosmetic foot surgery is done simply to correct an aesthetic problem. Popular procedures of this type include reshaping toes and narrowing of the feet. Toe shortening is an increasingly popular option for those who hate feeling a pinch at the end of their shoes. It’s also a subtle, yet highly effective way to improve the shape of the feet by bringing the toes into a more harmonious balance with the rest of the foot. The wearing of high-heeled shoes is a prime example of women inviting foot problems. Doctors of podiatric medicine see no value in high heels (generally defined as pumps with heels of more than two inches). They believe them to be biomechanically and orthopedically unsound, citing medical, postural, and safety faults of such heels. They know, for example, that high heels may contribute to knee and back problems, disabling injuries in falls, shortened calf muscles, and an awkward, unnatural gait. In time, high heels may cause enough changes in the feet to impair their proper function. Most women admit high heels make their feet hurt, but they tolerate the discomfort in order to look taller, stylish, and more professional. 1.Leave high heels for special occasions. 2.Backless high-heeled shoes should never be worn for a long period of time. 3.Calf stretches help to keep feet supple and keep a good range of movement. 4.Vary your heel heights from day to day. 5.Wear the right shoes for the right occasion. Uncomfortable shoes in a casual setting are a bad idea. 6.For everyday use, limit heel heights to about 1.5 inches. If you’re tired of living with painful or unsightly feet then don’t wait any longer. You won’t believe the effect beautiful feet will have on your life. Whether it’s around the house, at the pool, our out for the evening, elegant, well shaped feet will improve your confidence and make you feel great. And when you work with Dr. Jamshidinia, you’ll benefit from the skill and experience of a world-class cosmetic foot surgeon. Don’t wait. 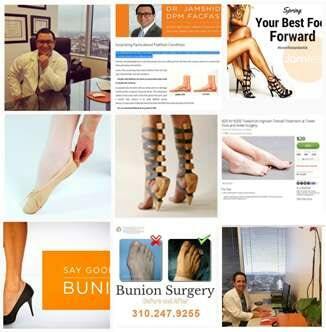 Set up your consultation in Los Angeles today and see how foot surgery can help you.